Get your stylish menswear game where it needs to be with stylish fashion blazers for men by Zacchi. 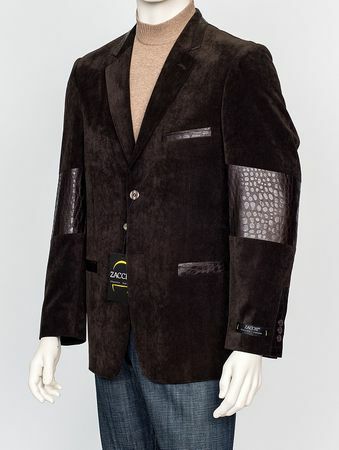 These fashion forward blazers are unique and made by no other brand featuring crocodile texture trim on the sleeves and pockets and made of brown brushed cord fabric that is velvet like and perfect for the cooler months. Regular fit.